The Temple Beth Israel Memorial Garden was established in 1990 to serve the needs of its members and their families. 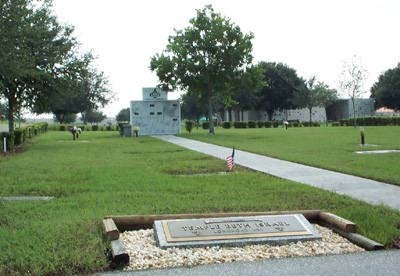 Located in Palms Memorial Park, the cemetery is on 5200 Fruitville Rd. in Sarasota about 1/2 mile west of Interstate 75. Our cemetery occupies its own section within Palms Memorial Park. Hedges and trees surround the gravesites and columbarium, making it a most tranquil and beautiful setting. Perpetual care ensures the cemetery will be maintained to a very high standard. The Jewish custom of purchasing burial sites during one’s lifetime dates back to ancient times. There are a number of options and alternatives upon which decisions have to be made, including financial benefits that might be lost. As a first step to advanced planning, more than half of the gravesites and niches have been purchased by our members prior to need. This reduces a tremendous emotional and financial burden during the time of grief. For information, call the Temple office, (941) 383-3428 for referral to a Cemetery Committee member.